He looks hot in any century. 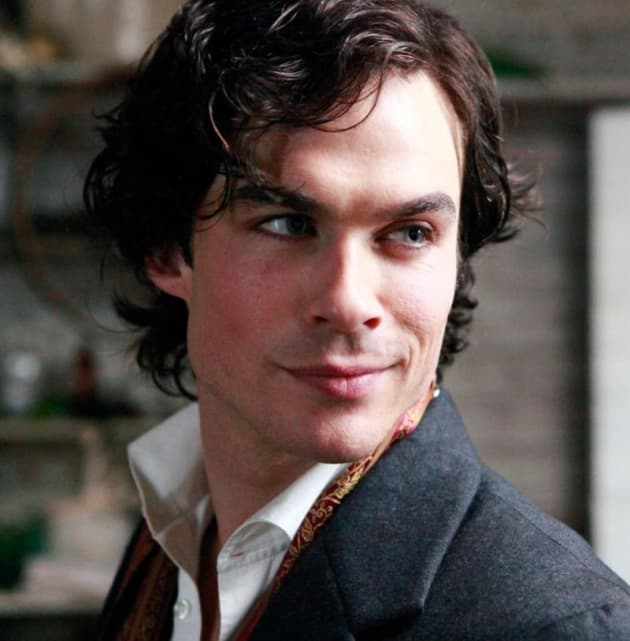 Ian Somerhalder is seen here in the role of Damon Salvatore, circa 1864. The Vampire Diaries Season 1 Episode 13: "Children of the Damned"
The Vampire Diaries Round Table Round Table: "Children of the Damned"
If I see something I haven't seen before, I'll throw a dollar at it. I really like this whole menage a team thing. It has a bit of a kink to it.